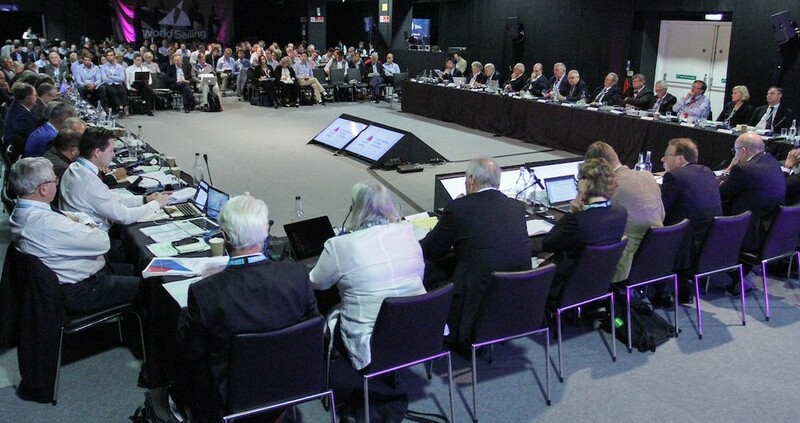 World Sailing Board in last minute, possibly panic driven moves before the Olympic Classes Sub-committee meeting on Monday 29 October at the World Sailing Annual Conference in Sarasota, USA. Richard Gladwell, the New Zealand editor of Sail-World.com/nz, has published an article revealing the last minute submission by the Board of World Sailing after they apparently realised the submissions they pushed through earlier in the year were unworkable. The new submission – 058-18 – proposes a new slate of events for the 2024 Olympics that minimises changes from the equipment to be used in 2020. Their proposel 058-18 makes reference to another “Urgent submission from the Board” – 037-18 which seeks “To change the Mixed One Person Dinghy Event to Mixed Two Person Keelboat Offshore” in the original submission. This of course was one of the earlier proposels that was thrown-out in the multi-voting committee stage, mainly due to impractical aspects of developing an offshore racing event within an Olympic time scale and general lack of interest. But, World Sailing seemingly in a general panic over the total impracticability of the 2024 slate that they have had passed to them, are now between a rock and a very hard place. With so many of the proposed events totally alien to anything seen in normal international sailing, and so many of the Olympic classes caught-up in the Anti-Trust Review or Evaluation Trials, they are facing complete ridicule. And this is just the start of what is looking like a very bumpy ride. The Good Times are Back – Watersports participation is on the rise!